The Grand Canyon rafting trip was A++++. The weather cooperated. The guides were amazing, organized, thoughtful, informative, and Le Cordon Bleu River Chefs. 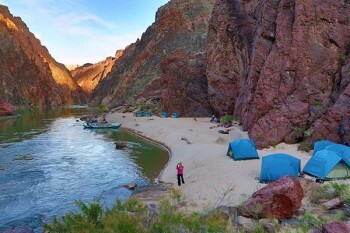 The knowledge they had of the Colorado River and every rapid was incredible. I loved the stories they told and the history of the Grand Canyon. The opportunity I had to be with my daughter and grandsons made this trip exceptional. I have already recommended Western Rivers to my friends in Montana as the company for this kind of trip. Thank you so much for fulfilling my bucket list in a perfect way.